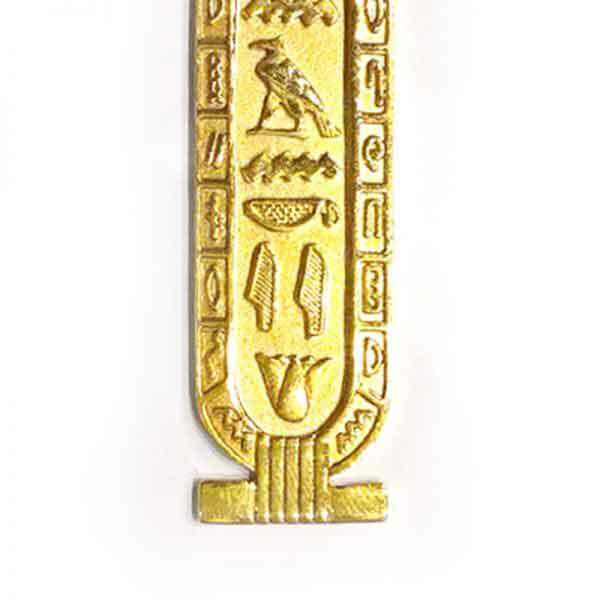 Have your name inscribed in our 18K Gold Cartouche with Lotus Flower today and enjoy wearing a piece of Ancient Egyptian Jewelry. 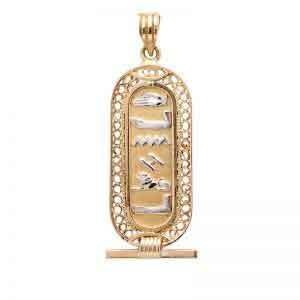 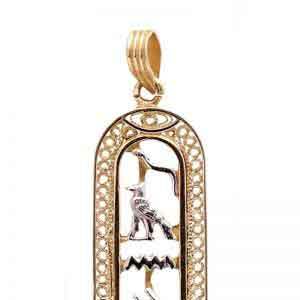 Our 18K Gold Cartouche with Lotus Flower portrays your name in either ancient Egyptian Hieroglyphics, English or Arabic.. 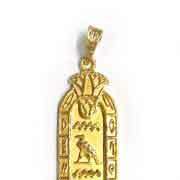 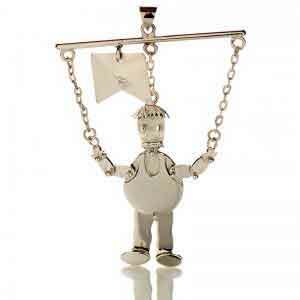 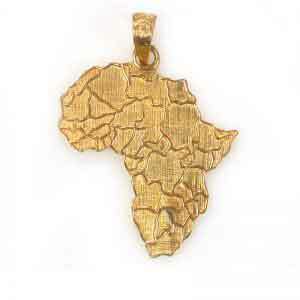 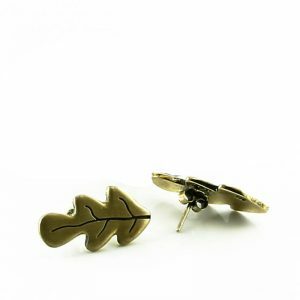 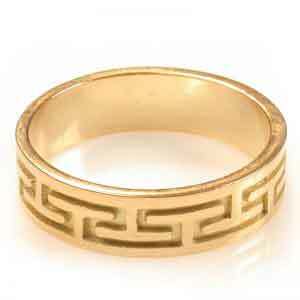 It is handcrafted of 18K gold by our designers and bears the 18K gold stamp for authenticity purposes. 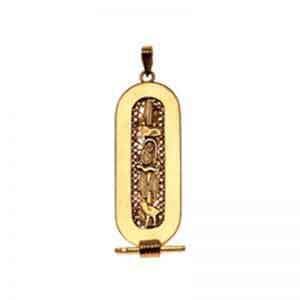 Have your name inscribed in a 18K Gold Cartouche with Lotus Flower today. 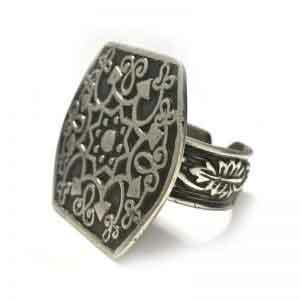 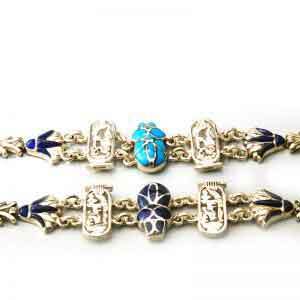 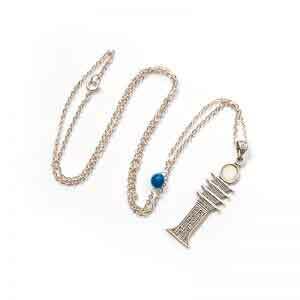 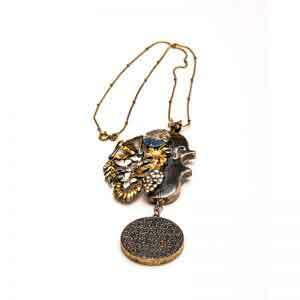 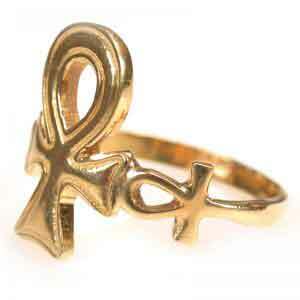 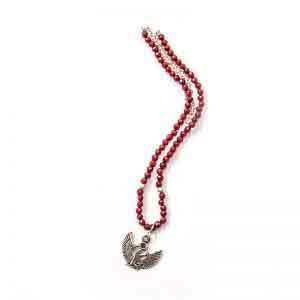 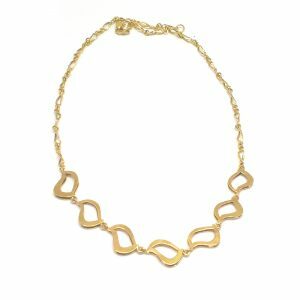 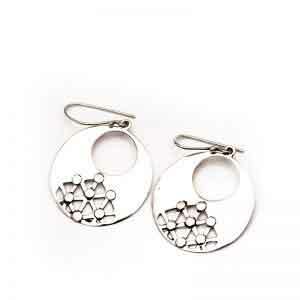 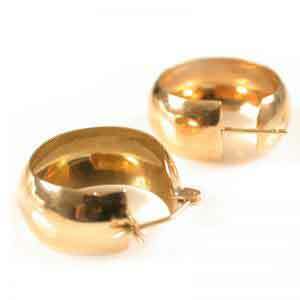 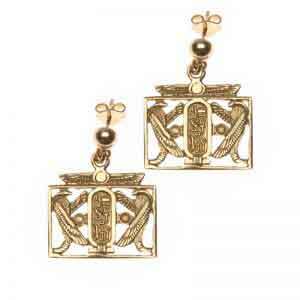 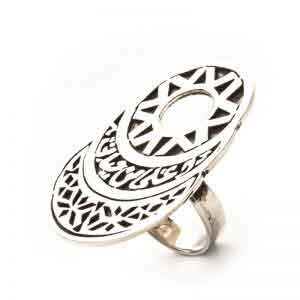 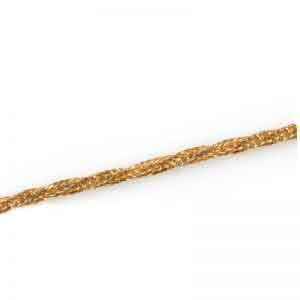 Enjoy wearing a piece of our Ancient Egyptian Jewelry. 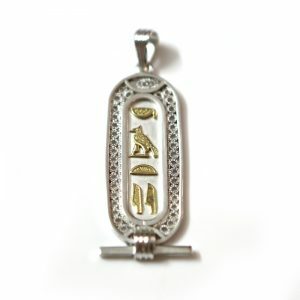 When ordering your Egyptian Cartouche, please make sure to review the different options provided. 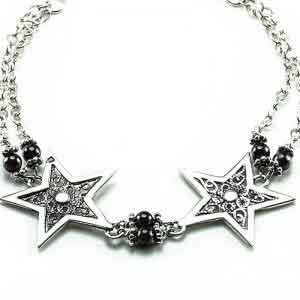 Also kindly type the name that you would like in the name section. 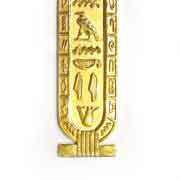 As the sounds represented by the ancient Egyptian hieroglyphic alphabet are not exactly the same as in English, therefore our artists will best select the appropriate letters to match your name. 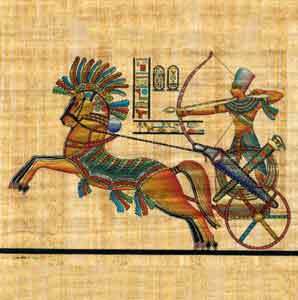 You can review the ancient Egyptian Hieroglyphics we use by visiting our Ancient Egyptian Hieroglyphics page. 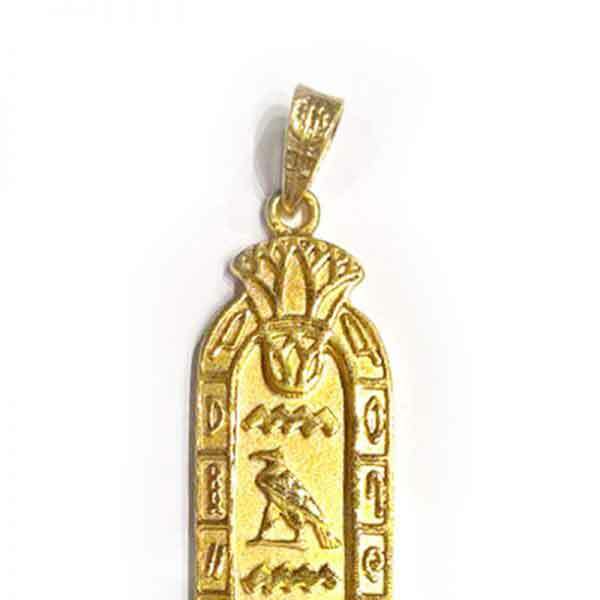 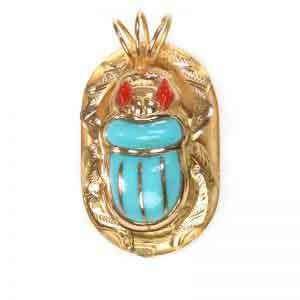 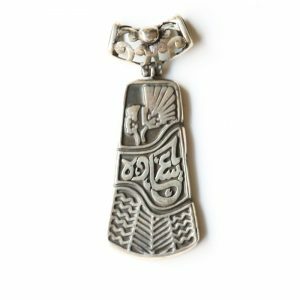 Your Egyptian Cartouche size will be approximately 1/2″ by 1 1/2″ and weight will range from approximately 6 grams to 7 grams depending upon the number of letters that you desire. 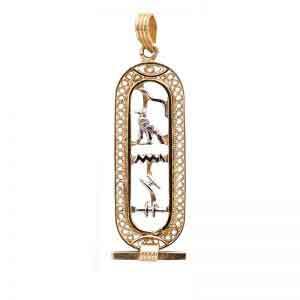 Price will vary based on the options selected. 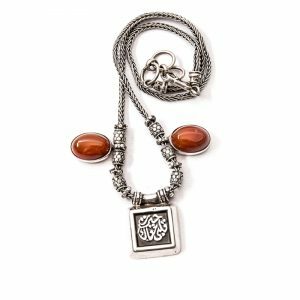 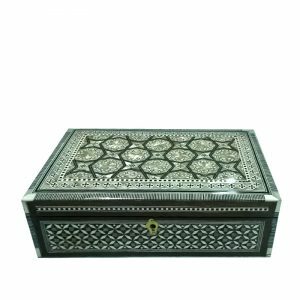 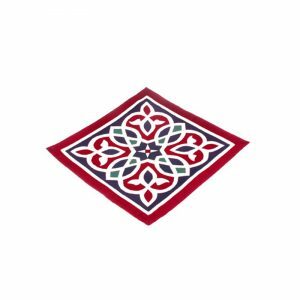 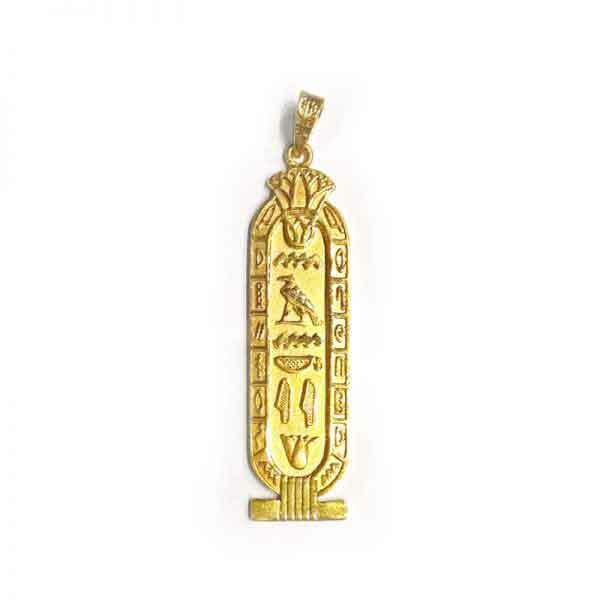 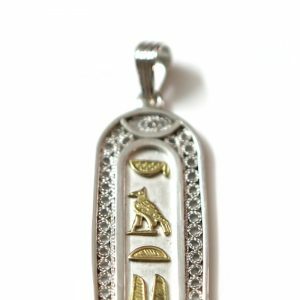 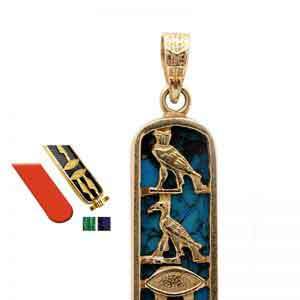 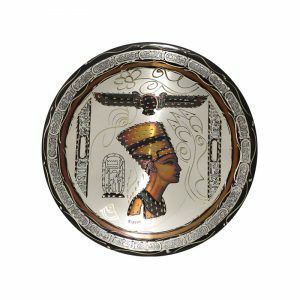 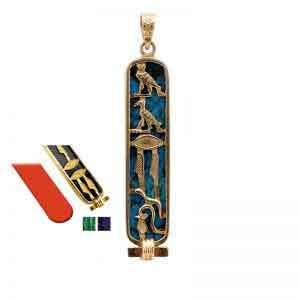 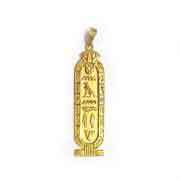 Please note that due to the unique nature of Egyptian gold Cartouches personalized and handcrafted, therefore our sales are considered final.